It is nearly impossible to think about one without thinking about the other. And while the history of where the croissant originated is debatable (did it actually originate in Austria in the 17th century? 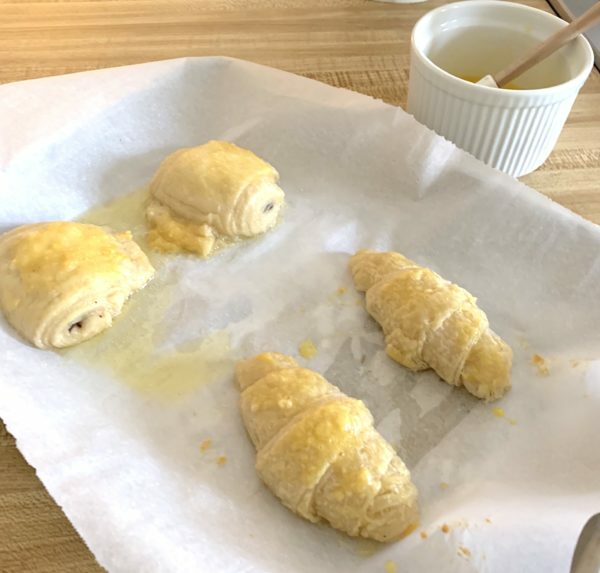 ), the understood and agreed upon truth is that a croissant is absolutely scrumptious and made with ample amounts of butter. If you have been following TSLL on Instagram, you know that for many Sunday mornings, a croissant picked up at a local bakery in Bend is often my weekly treat. 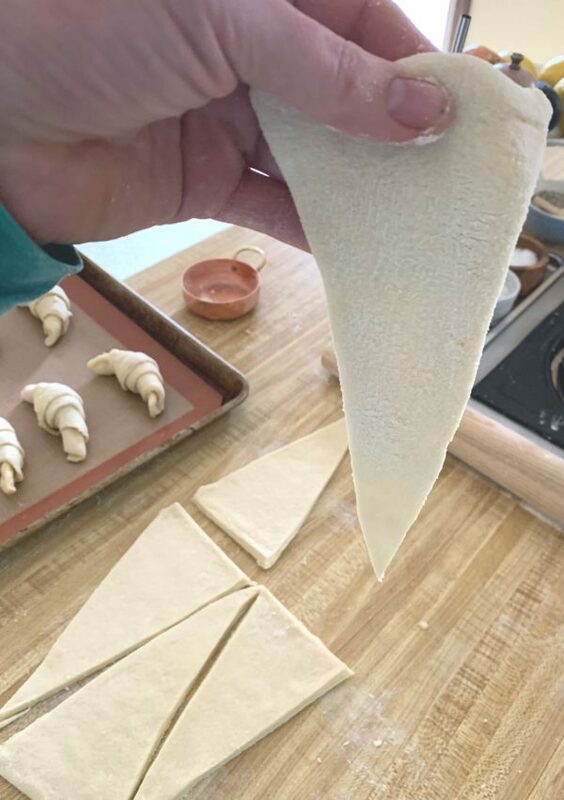 However, each time I return to France (most recently this past summer – 2018), when I bite into a croissant while either sitting at a cafe in Paris or welcoming home a croissant to enjoy as I greet the day in my vacation rental, the difference is immediately apparent – the French simply know how to make croissants like nobody else. 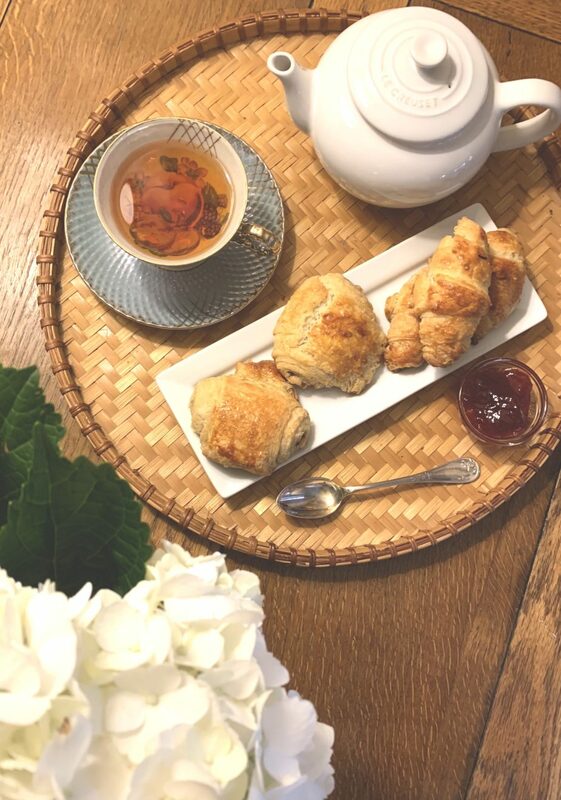 French croissants need not be large, and the flaky, buttery layers that open up to reveal a warm, buttery soft, but a little chewy inside, creates a magnificent symphony for the tastebuds. Needing no extra sugar to keep the American palette returning as I find some bakeries choose to do, these quintessential French pastries are perfect just as they are with the simple ingredients of flour, butter, a little bit of milk, yeast (the bit of sugar in the recipe feeds the yeast) and that is it. Having always enjoyed waking up on a Sunday or during the winter holidays and nibbling on a warm from the oven croissant, I have in the past found frozen croissants and kept them in my freezer, placed however many I needed for the next morning out on the counter the night before or in the refrigerator so that I could bake them in the morning. However, it wasn’t until this weekend that I have made my own croissants. Inspired by watching Baking with Julia on PBS, it is during the show’s second season, episode #1 with French baker Esther McManus that viewers have the opportunity to see the making of the croissants (if you are a PBS subscriber/member, you can view this video for free here with your PBS Passport; you can also view the full video in two parts here and here on YouTube). 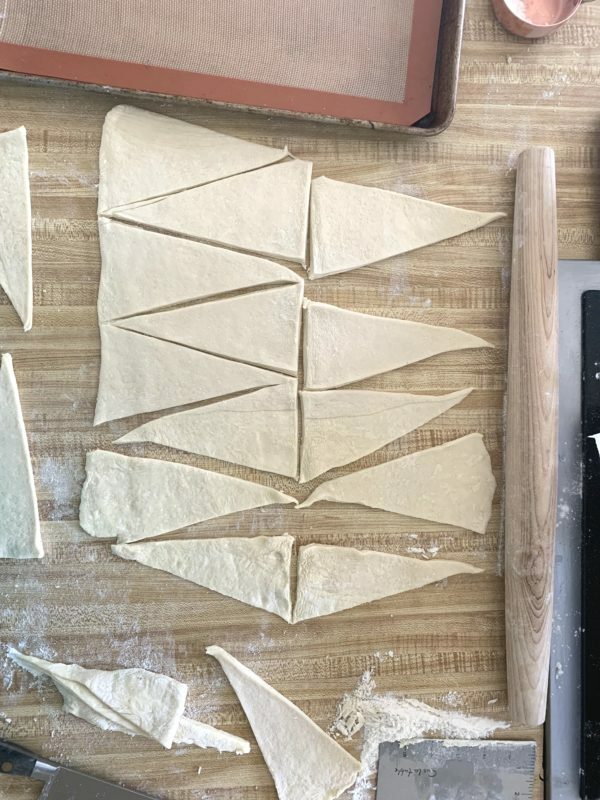 It is this visual teaching that made all the difference for me (you can view the recipe in Julia Child’s cookbook Baking with Julia as well). 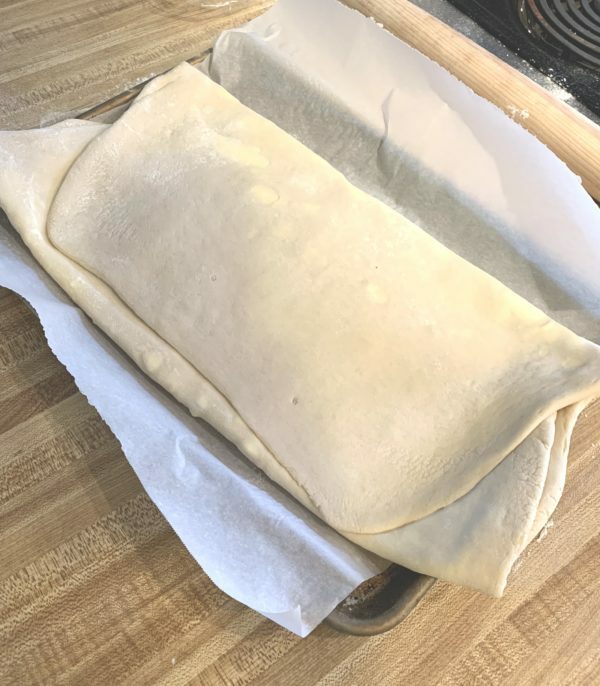 I have transcribed the recipe as she shares it on the show, added my own notations that helped me along the way and included my own adaptions for freezing the croissants I don’t need immediately. The beauty of a croissant recipe is that you can add any filling you want if you wish – almond, chocolate, etc. 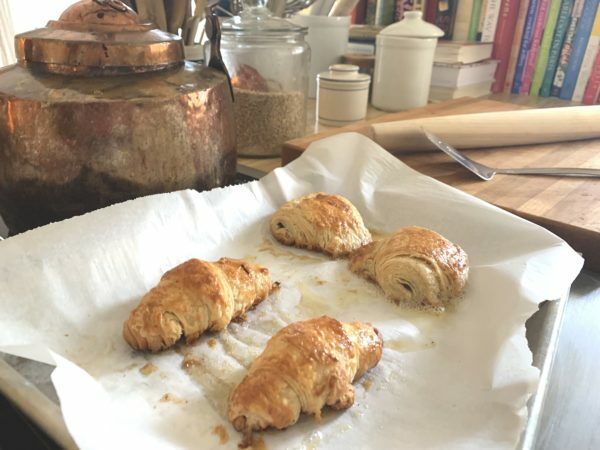 I do love a Pain au Chocolat every once in a while for a chocolate treat, so I split the recipe in half and made 12 traditional croissants and 12 pain au chocolats. 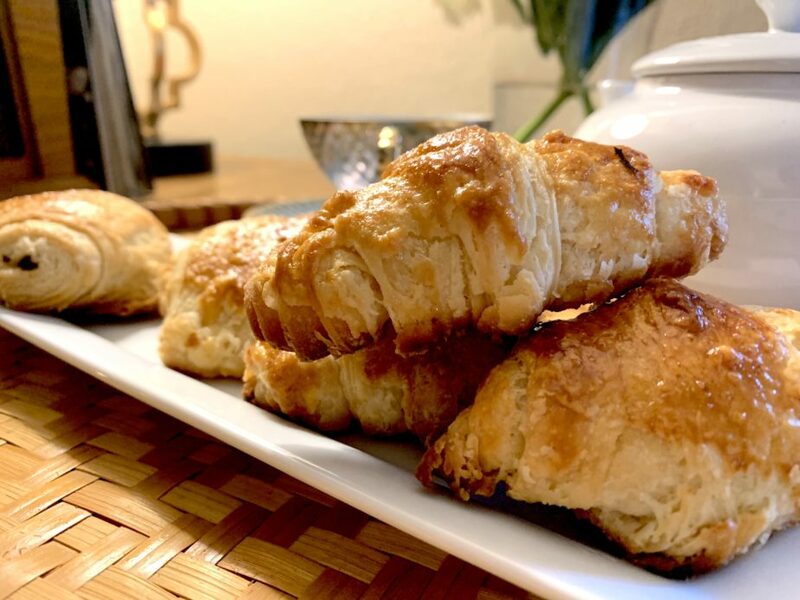 While the recipe takes time – a good 36 hours from start to warm-out-of-the-oven finish – the recipe is very simple and is certain to give you the flaky, buttery French croissant you remember during your last visit to France. 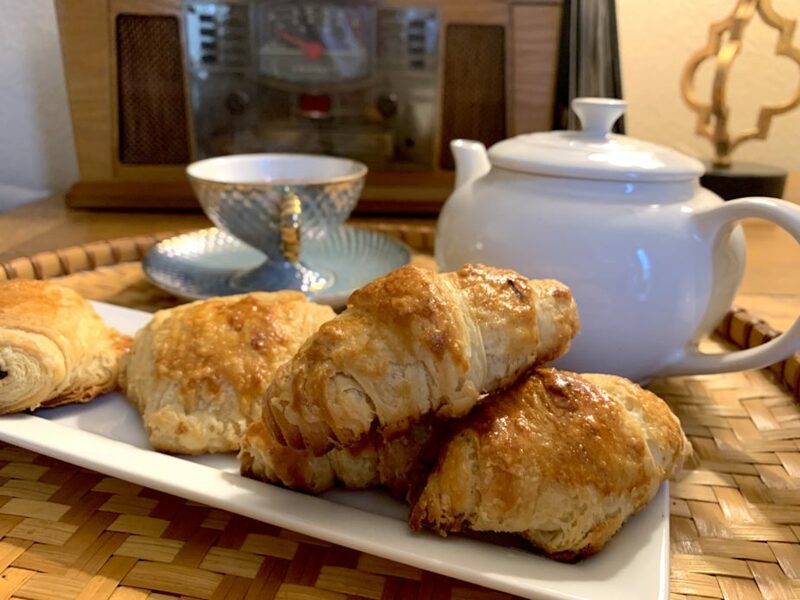 As I share in my pictures below, I made small traditional croissants and standard pain au chocolat. As you make them yourself, you can decide the size you prefer best. 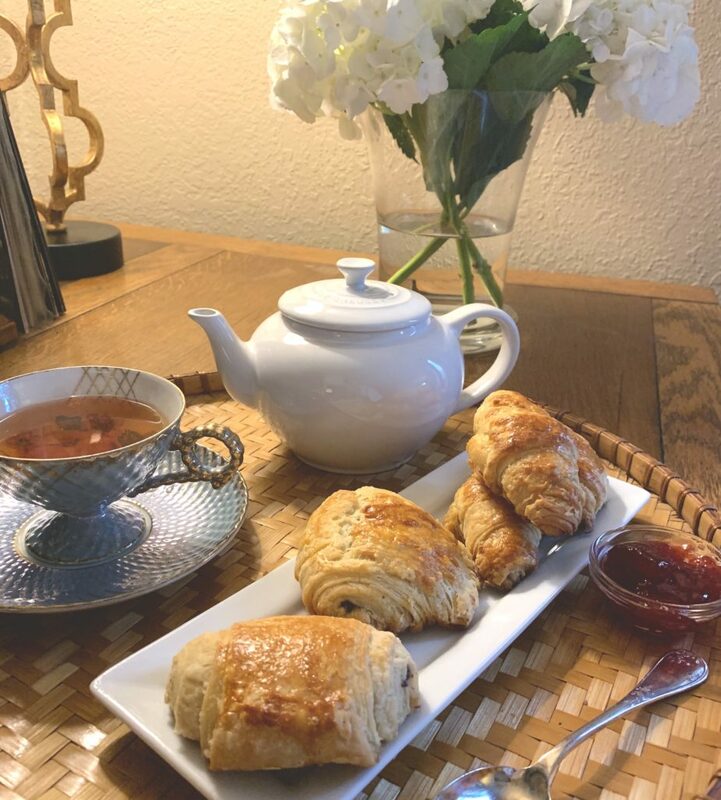 Needless to say, I am tickled with the result, and with now twenty croissants in my freezer, I look forward to enjoying a warm croissant hot out of my oven for many weeks to come, as well as being able to have something scrumptious for weekend guests of family and friends who visit me here in Bend. With each batch I know I will improve upon what I learned my first go-round, but with a recipe like this one, it is hard to go wrong. 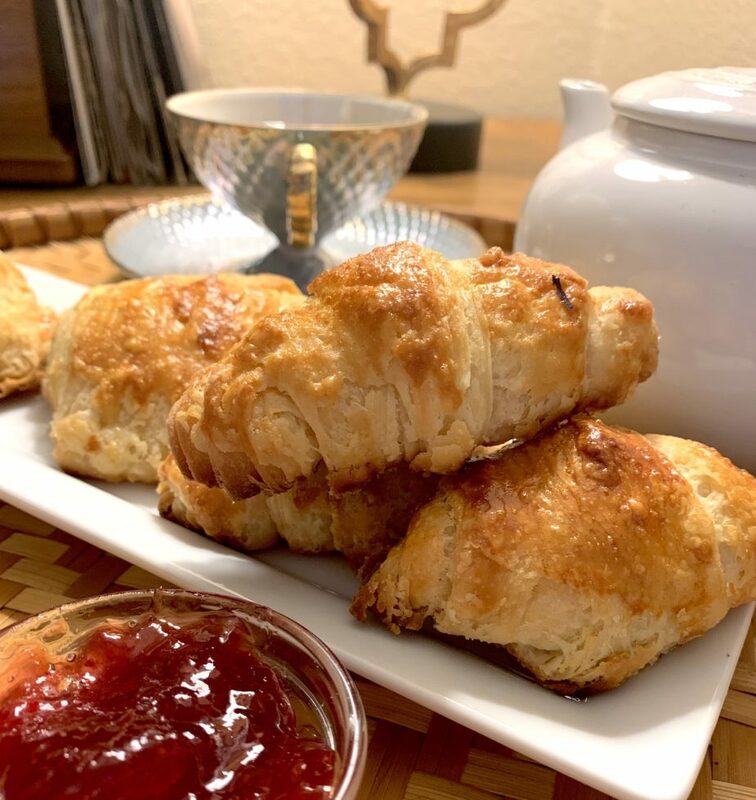 The recipe is shared below, and look for this recipe to potentially be included in the upcoming second season of The Simply Luxurious Kitchen which will premiere September 2019. 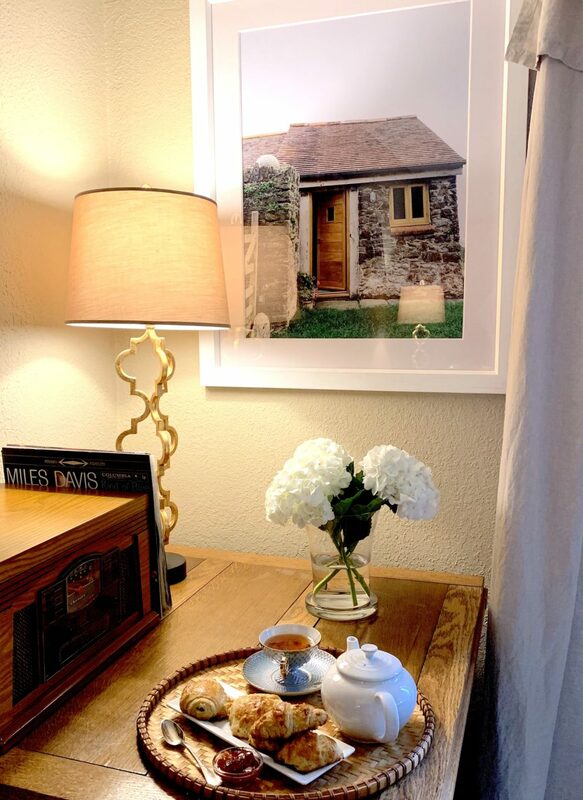 Wishing you a delicious morning with your next croissant and may it transport you to the cobbled streets of Paris. Bonne journée! Inspired by Esther McManus' appearance on Julia Child's "Baking with Julia". 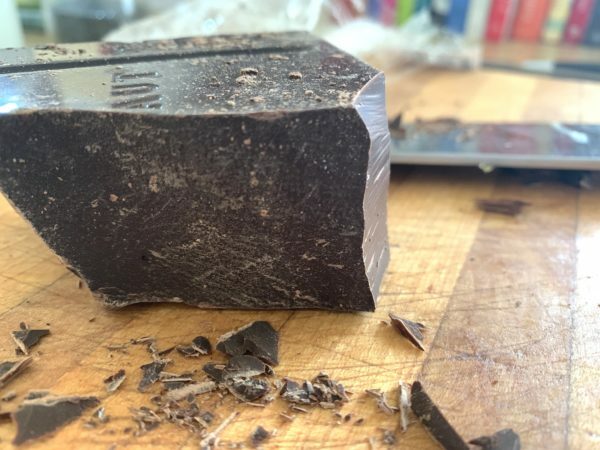 3 ounces semi-sweet chocolate the best quality you can find - I use Belgium. In a mixer with dough attachment, mix at a low speed 3 3/4 cups flour, the yeast, salt, sugar and 1 cup whole milk (reserve 1/2 if needed - dough is too dry). Mix until the bowl looks clean and all of the flour is incorporated. 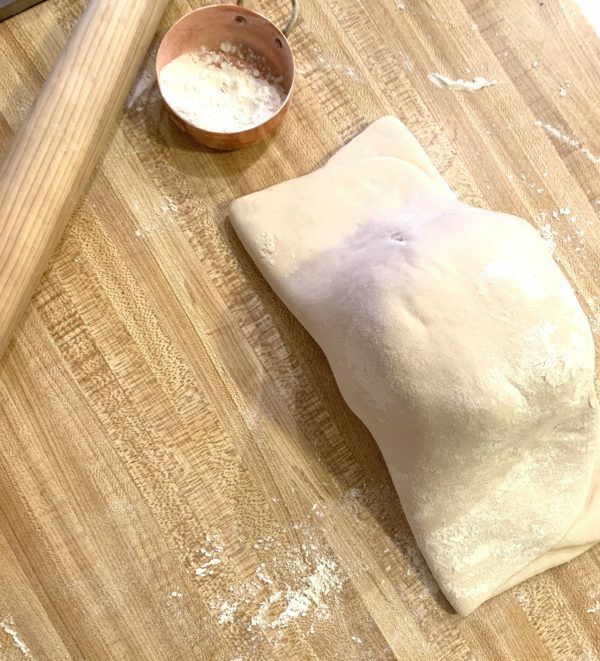 If the dough is too dry, you may add a little of milk at a time. 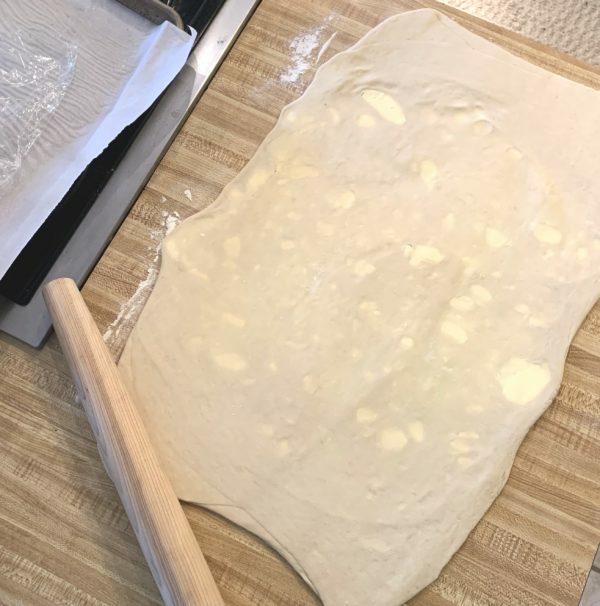 While the pastry dough is resting on the counter, take the one pound of chilled butter, cut into large, rough pieces and place into the mixing bow with the mixer paddle (the traditional paddle) attachment. Add the two tablespoons of flour to soak up any extra water that is in the butter. Whip at a high speed until incorporated, but not creaming. It should still feel cool to the touch. 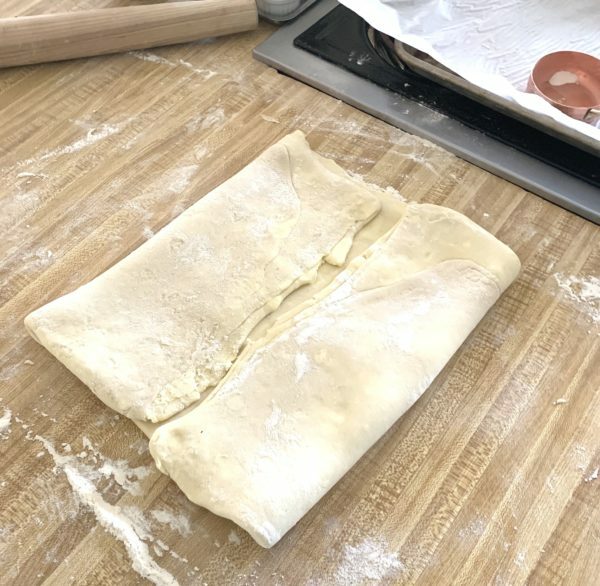 Remove from the mixter, roll into a ball, wrap in plastic wrap and place in the refrigerator along with the pastry dough - overnight or at least 8 hours. 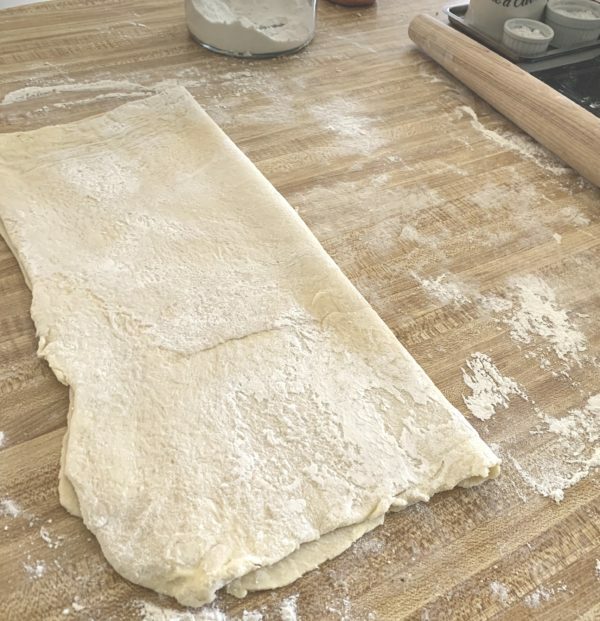 Roll out the pastry dough on a floured surface to approximately 18 inches in length and 10 inches in width. 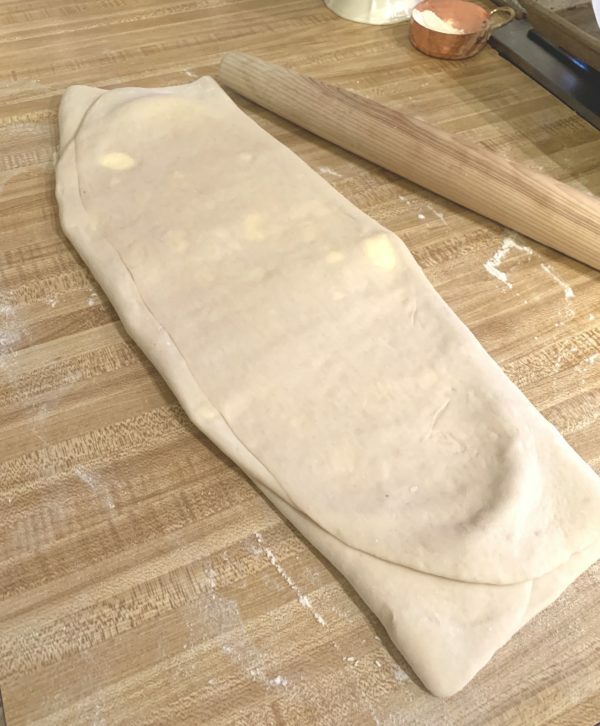 Place the butter ball into the middle and fold length-wise, the dough over the butter ball. 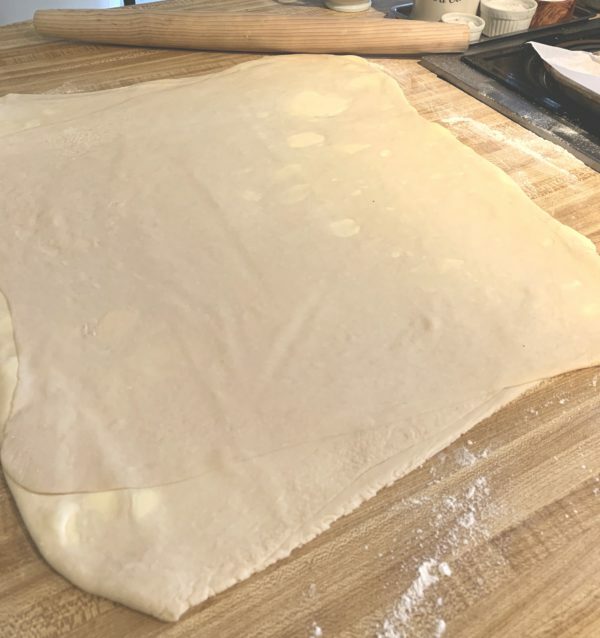 You will have two layers of dough on top of the butter - a tri-fold. 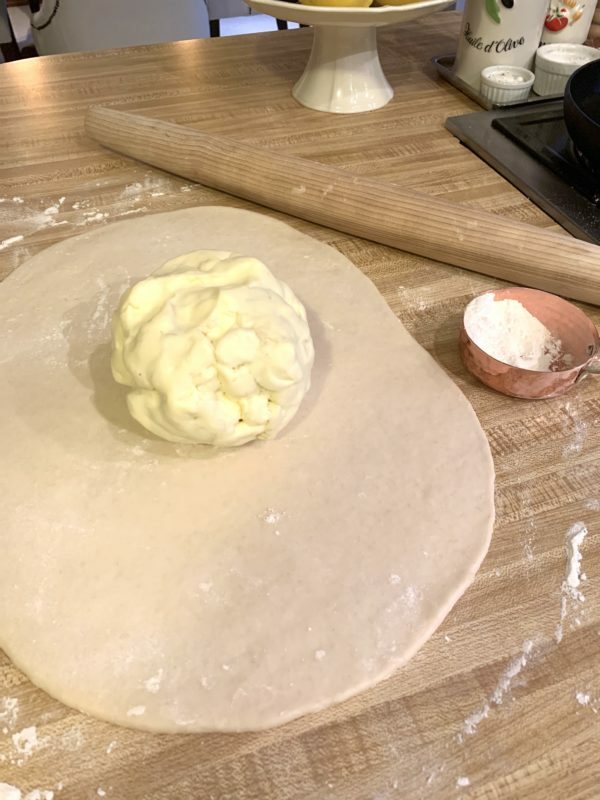 Place the butter ball into the middle and fold length-wise, the dough over the butter ball. 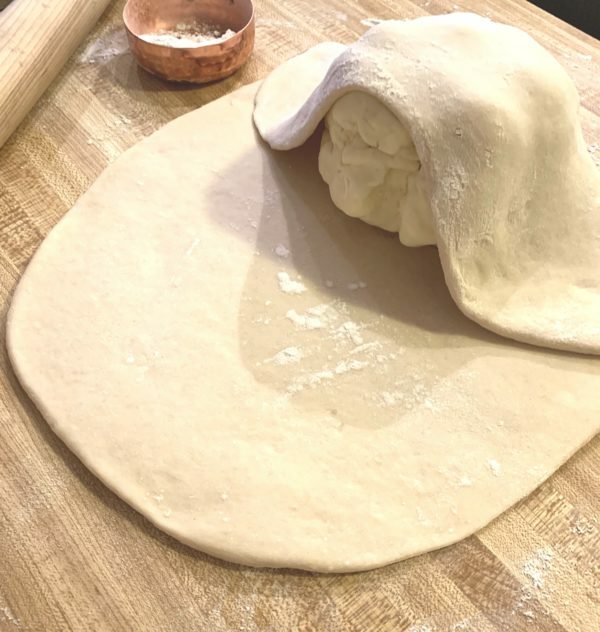 You will have two layers of dough on top of the butter - a tri-fold. 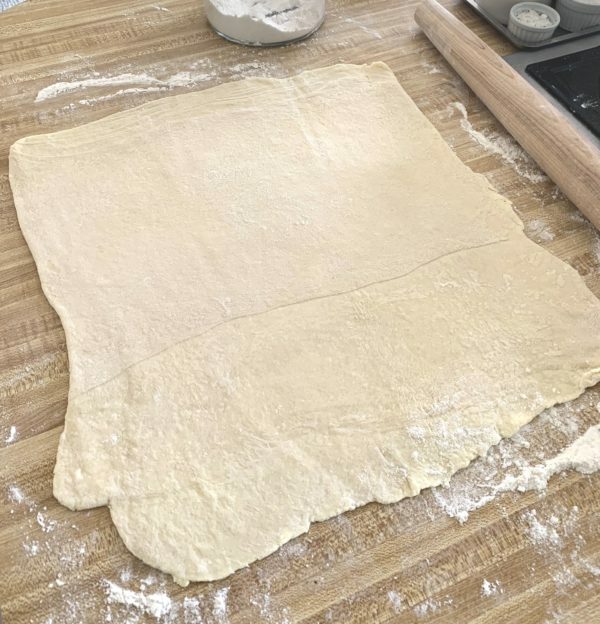 Remove from the refrigerator and roll out the dough to a large rectangle - approximately 24 inches by 18 inches. Then fold into thirds - one third on top of the other - similar to a letter folded so that it can fit in a business envelope. Place back onto the parchment which is on the sheet pan, wrap with plastic wrap and set aside for one hour. Now to make the croissants! 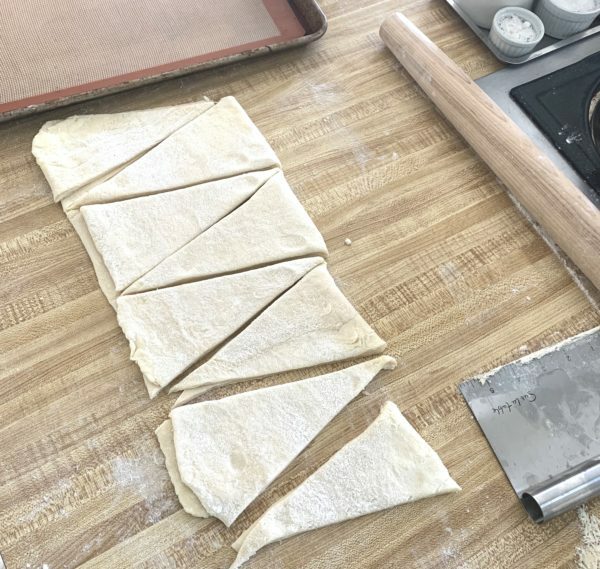 Cut the dough into half (you don't have to, but it makes it easier to roll out). 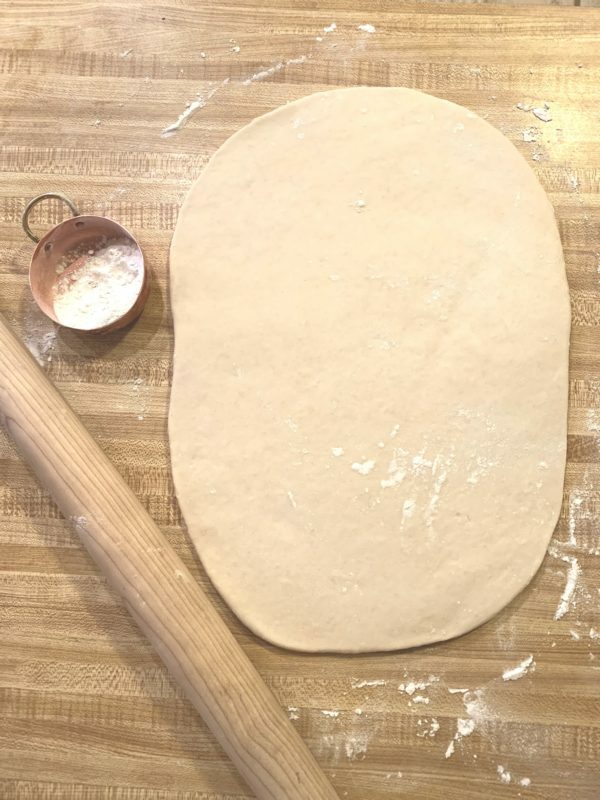 On a floured, preferrably cool surface, roll out the dough - 24 x 20 inches approximately. Fold in half length-wise. 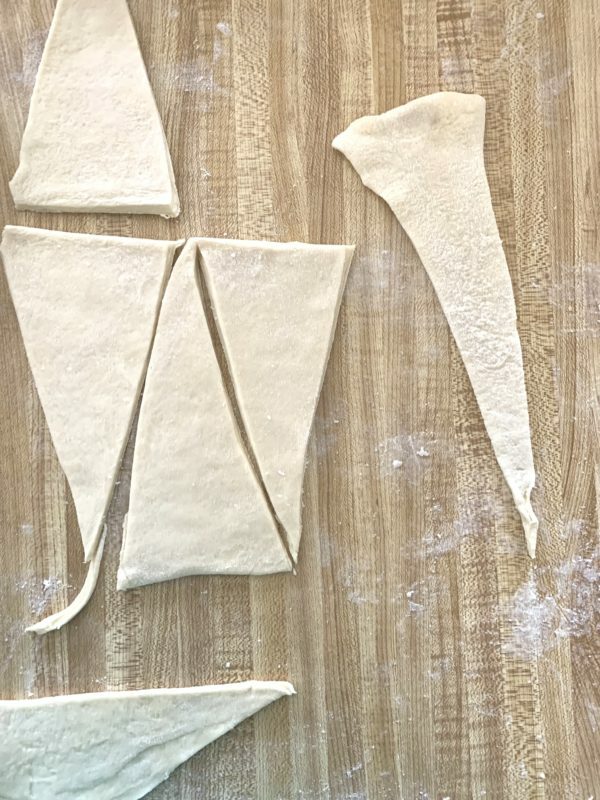 Using a pizza cutter or knife, cut triangles. 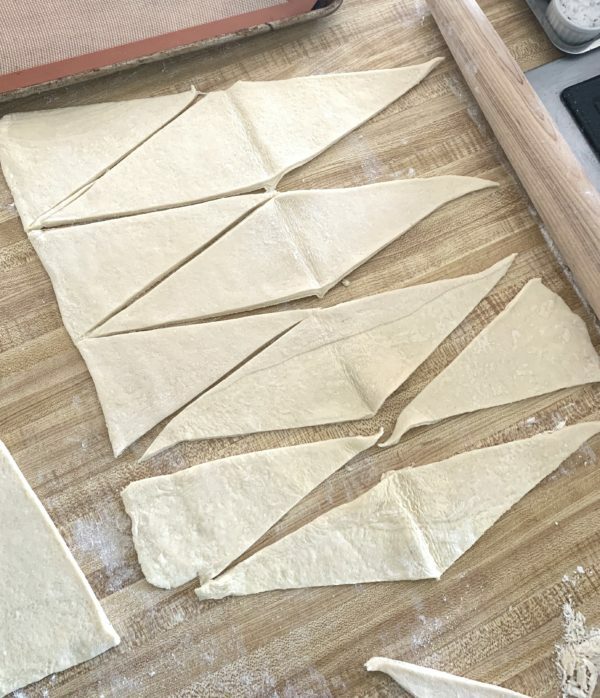 Open up the fold and separate the necessary triangles that are attached. 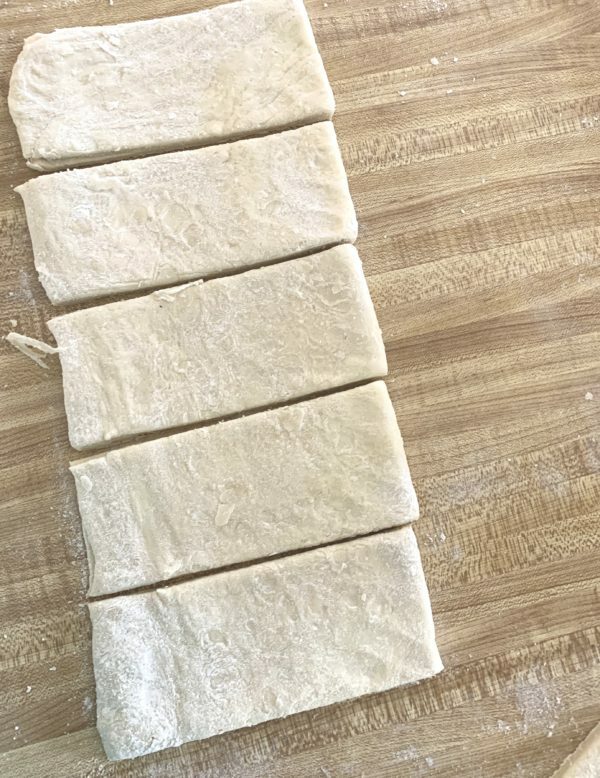 For Pain au Chocolat, take the second half of the dough and instead of triangles, make rectangles. Place the doculate - about 2 ounces on the end where you will begin rolling. Roll up to the end and keep the end underneath, to rest on the bottom of the croissant. What temperature is needed in Step 24? 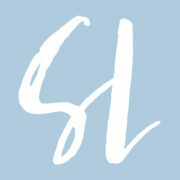 The recipe sounds great and the photographs are a huge help! She probably has many insights into an expertbake. 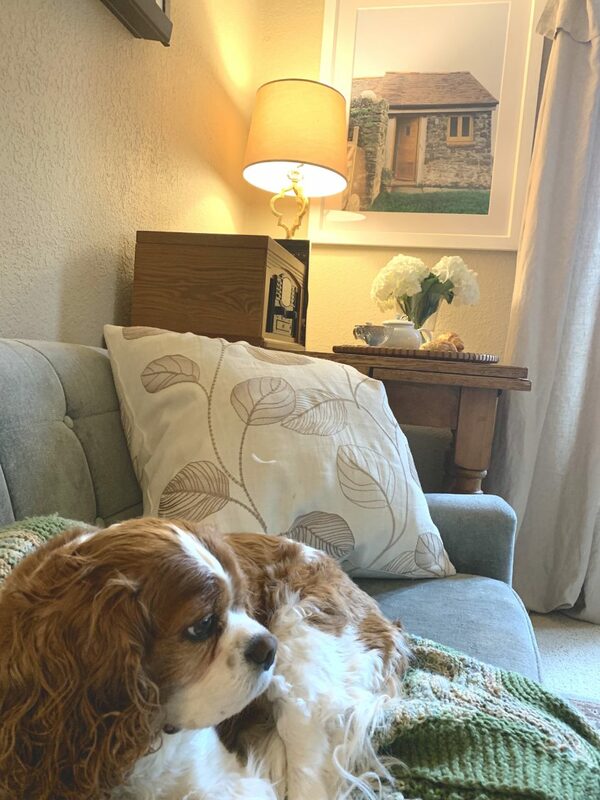 🙂 Thank you for sharing. Can’t wait to try this recipe. Thanks for the pictures along the way too. Oh my gosh, thank you for this recipe! I am so excited to try them!!! So yummy! When I learned I had celiac back in 2012, the only food I truly missed was croissants, which were virtually impossible to find in a gluten free version. 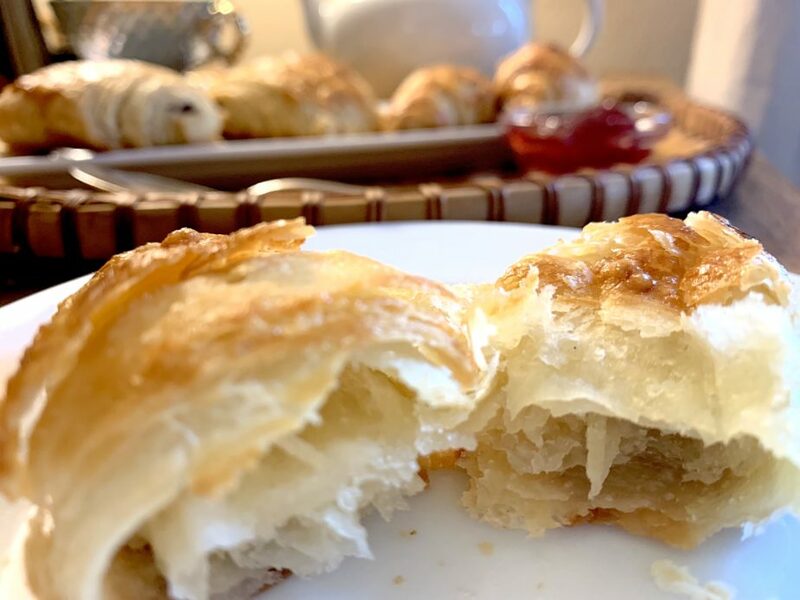 Thankfully, since then I have found a European company that makes a lovely gf version, and I have found two recipes that work beautifully to make gf croissants. They are definitely time and labor intensive, but oh so worth it! Yours look like they turned out beautifully! So happy to hear you have found a gluten free recipe! Should it be “rolling” vs “roll ping” in instruction 23? 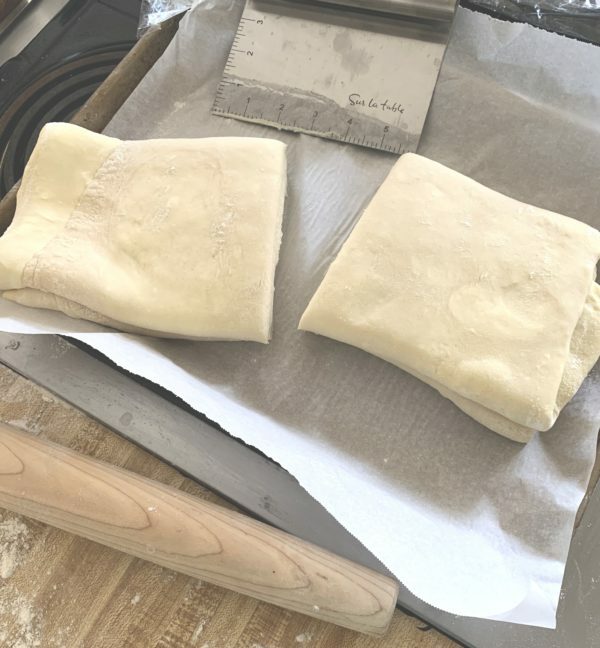 Just a thought for your recipe, perhaps if you were to shape the butter into a rectangle half the length and two inches less than the width of your dough, it would chill faster and more evenly, and it would be very easy to wrap the dough around it. 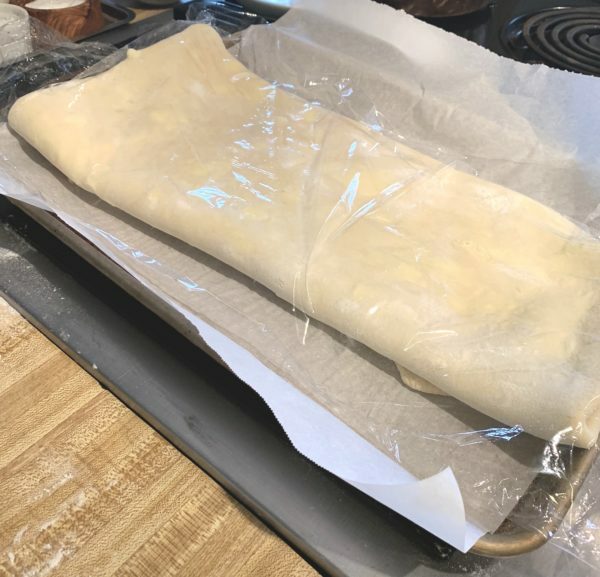 I’ve seen it done by chefs on TV and it just makes more sense to me–nods and all to Julia… Also, I freeze bakery items on a sheet in the open, then when frozen, transfer them to a zip-lock freezer bag, removing as much air as I can for less freezer burn. The same with shaped cookie dough. It works really well and I end up with fewer misshapen bits. Best wishes.